Due to the Icelandic weather, country is a perfect place to explore big mammals, especially from April till September, as you will have a chance to meet dozens species of cetacean, such as blue whale, humpback, minka or killer whales. The first whales watching trip in Iceland was in 1991 and since then it became on of the major tourist attraction in the country, and it is especially popular among kids. Approximately 25% of people visiting Iceland go whales watching, so if you come to the country, you should definitely meet these amazing big mammals! 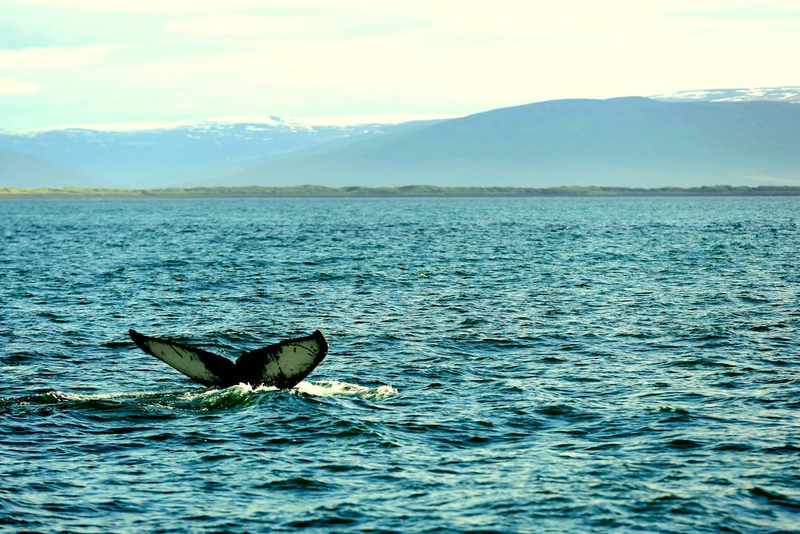 There are daily excursions that will take you to see whales in Iceland, if you are in Reykjavik, then there are tours from Old Harbour, also there are many tours in northern part of the country, especially from Husavik. The whole experience is very joyful, as tour guides are very welcoming and will tell you a lot about whales. Tour companies are very protective towards these big beautiful mammals and feel passionate about these creatures. As we mentioned earlier this is a perfect activity if you have kids, as it is not only fun experience for them, but also very informative. But let’s be honest adults are enjoying whales watching as much as children, because after some minutes of waiting, when you finally see a whale, you won’t be able to hide your emotions and will be as happy as a kid! Certainly you will be happy to finally see the big mammal, but don’t forget that you will get completely wet after such meeting, so for this matter everyone on excursion has to wear a special waterproof costume, and to make the whole experience even more cozy and memorable: you will have a chance to enjoy hot chocolate and pastries while on board. The big advantage in whale watching in Iceland, as you can see these big mammals in their natural habitant and not in captivity. This excursion will give you unforgettable experience and numerous opportunities to make great photos!